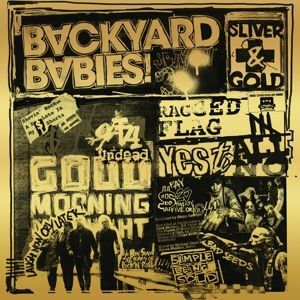 Backyard Babies celebrate their 30th anniversary with Sliver & Gold! For over 30 years, Backyard Babies has delivered top of the line rock'n'roll, both live and recorded. The fact that the original four guys that started the band still are playing together, is next to unique. The new album Sliver & Gold was recorded in the classic Park Studios (also known as the "Psych Bunker") and produced by the legendary Chips Kiesbye (known from Sator among others). Fittingly, the first single from the album - ”Shovin’ Rocks" - is about "30 years of rock’n'roll". Sliver & Gold is Backyard Babies eighth studio album, but hardly their last. Energetic and powerful, the band prove that they´re in better shape than ever and most certainly have enough material to last the coming 30 years. The special edition vinyl comes in 180GR. vinyl, tastefully packaged in a reflective gold sleeve with five newly recorded acoustic bonus songs, fan stories and fan names!